From Egypt's point of view, it is important that the quiet be maintained in Gaza and the situation not spiral out of control. Egypt has a historic role in Gaza dating back to the 1948-1967 period when it occupied Gaza. But its current role there is more complex. Unlike Jordan, Egypt never became home to large numbers of Palestinians, nor did it grant them citizenship or become a protector of the holy sites in Jerusalem. The people in Cairo and Gaza are not nearly as closely connected. Yet Egypt has an important role because Gaza adjoins the Sinai, and because terrorist smuggling networks have operated in Sinai. In addition, Hamas as a movement is rooted in and related to the Muslim Brotherhood in Egypt, which the current Egyptian government loathes. Yet as mediators, the Egyptians have played an impressive and unprecedented role. Egypt has played a key role for decades, particularly in helping end the 2012 and 2014 conflicts. Meanwhile the Palestinian Authority has cut salaries in Gaza, and Qatar has stepped in to pay $15 million in cash payments a month. From Ramallah's perspective, the prospect of a separate Israel-Hamas deal is a disaster. At the same time the PA is isolated because the Trump administration recognized Jerusalem and cut funding to UNRWA, which has caused a crises in the PA and anger at the US. The US has gone further, trying to evict Palestinian representatives from Washington. How does Hamas view the Egyptian mediation? Hamas has frequently thought to thank Egypt for its help, realizing Cairo is its own access point to the outside world. It hailed Egyptian efforts on December 5. Ismael Haniyeh thanked Egypt, along with Qatar, Iran and Kuwait, on December 16. Hamas officials also met Egyptian journalists in February, spoke of "bilateral relations" developing with Egypt on January 17, and hoped Egypt would open the Rafah crossing on January 14. Hamas also condemned terrorist attacks in Egypt to show its solidarity. Gazans are also treated at Egyptian hospitals, an issue Hamas recognized in November 2018 and February of this year. Reading through a year of Hamas press releases, one senses how Hamas views the Egyptian role. Here is what Hamas says. On November 15, Hamas leader Sinwar met an Egyptian delegation, Egypt brokered a ceasefire on November 18 and on November 25 a Hamas delegation visited Cairo, meeting Egyptian intelligence officers on November 30, according to Hamas. In December, relative quiet prevailed under an Egyptian-mediated ceasefire. Hamas met a senior Egyptian delegation on January 11. On February 4-5, Hamas met another Egyptian intelligence delegation. Egypt sent Hamas an invitation to talks on February 6, and Hamas senior members went to Cairo on February 26. Days later, Egypt prepared for a new round of talks and Hamas met a delegation on March 8. Egypt has "doubled" its efforts, Hamas said. On March 24 Egypt succeeded in its efforts at mediation. We know this because Ramallah has been deeply hostile to deals between Israel and Hamas, and Egypt's president has sought to persuade Mahmoud Abbas to accept a truce agreement, according to reports in November last year. Fatah warned Hamas in August 2018 not to reach a deal with Israel. The August discussions involved a potential five-year truce. Egypt tried again in October. The high point of the discussions was in August 2018. This came in the wake of rising tensions in July. Egypt had to work to salvage its ceasefire in September though. In November, Abbas appeared increasingly isolated. In January, Egypt had invited Abbas for more meetings. 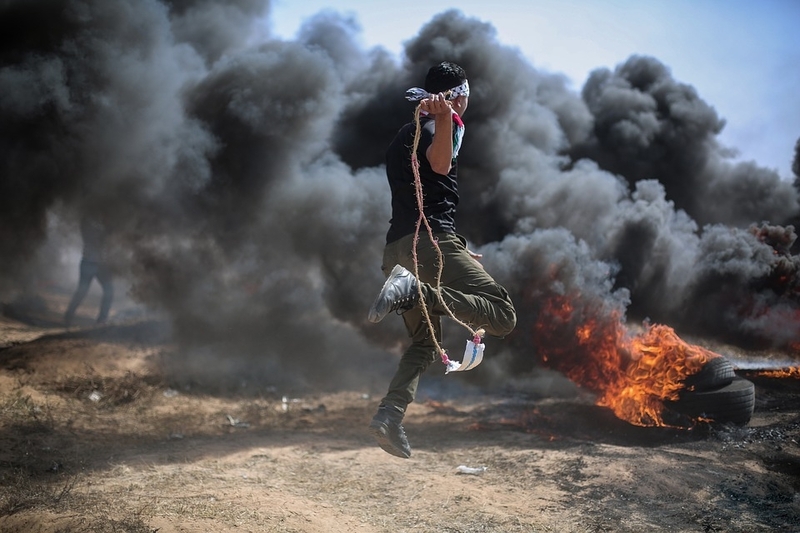 We know that push for an Israel-Hamas truce dates back to at least May of last year, when both Egypt and Qatar were involved after the clashes that had left many dead and injured along the border due to Hamas encouraging violent protests. The deeper discussions date to a reconciliation agreement in October 2017 brokered by Egypt. This percolated on into February 2018 when it began to break down. An assassination attempt against Hamdallah and Majed Faraj in March in Gaza didn't help. The PA removed its staff from Rafah in January 2019.